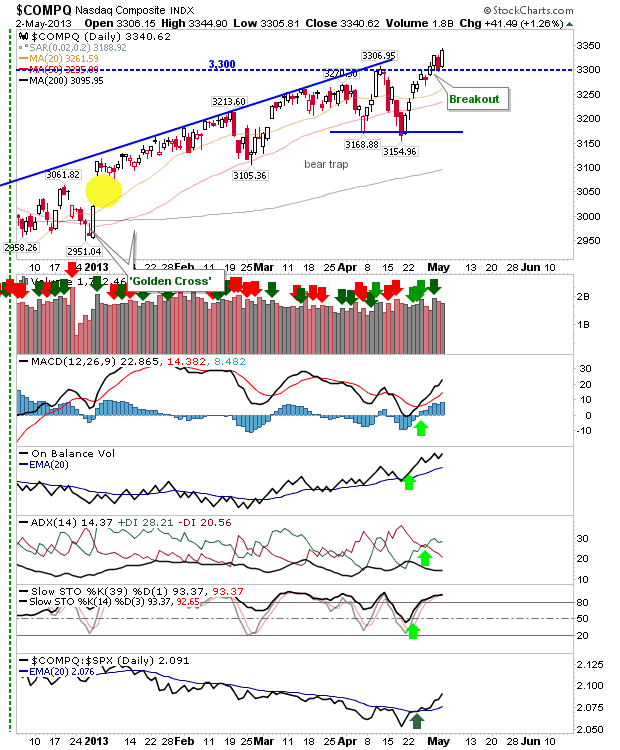 Yesterday's selling had put pressure on Technology indices, and today they responded. 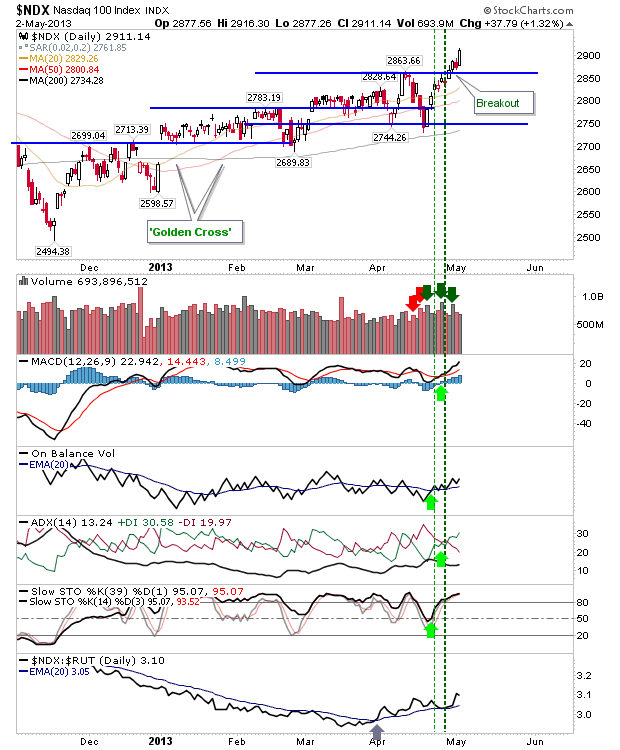 Buyers stepped in to take the Nasdaq and Nasdaq 100 away from breakout support, postponing the possibility for a 'bull trap'. The Nasdaq 100 better shows the strength of today's buying. 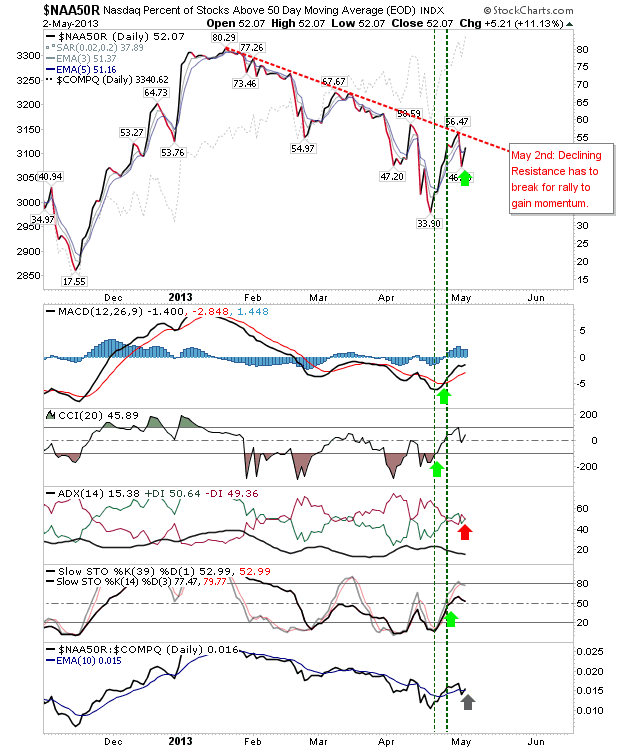 It has struggled to build momentum as relative strength against the Russell 2000 illustrates. However, since the start of April it has steadily got into its groove. 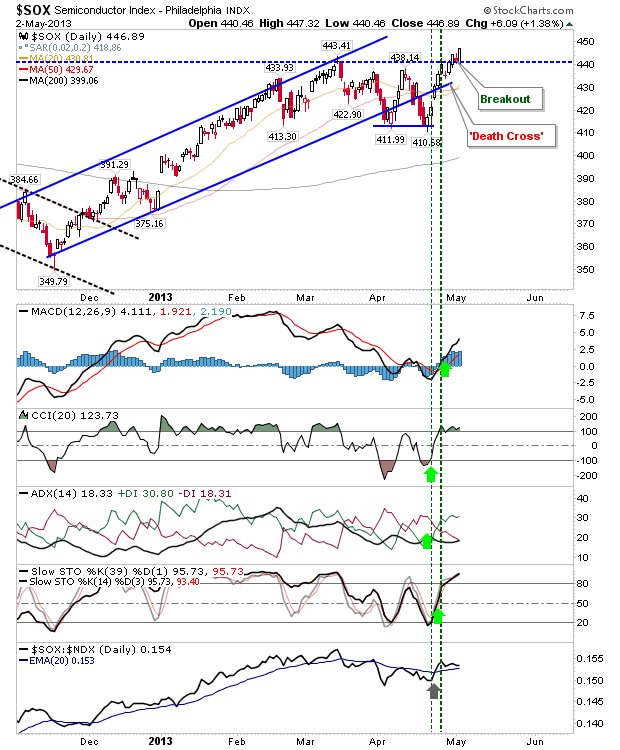 The breakout in the Semiconductor Index is looking more viable after limping above resistance. This will help the Nasdaq and Nasdaq 100 in the days ahead. The 'Death Cross' looks to be negated too. However, Nasdaq Breadth will have to be watched closely. The Percentage of Nasdaq Stocks Above the 50-day MA hasn't cleared declining resistance. This has to happen if the rally is going to last longer than a relief rally. This key break could happen as early as Friday or Monday. 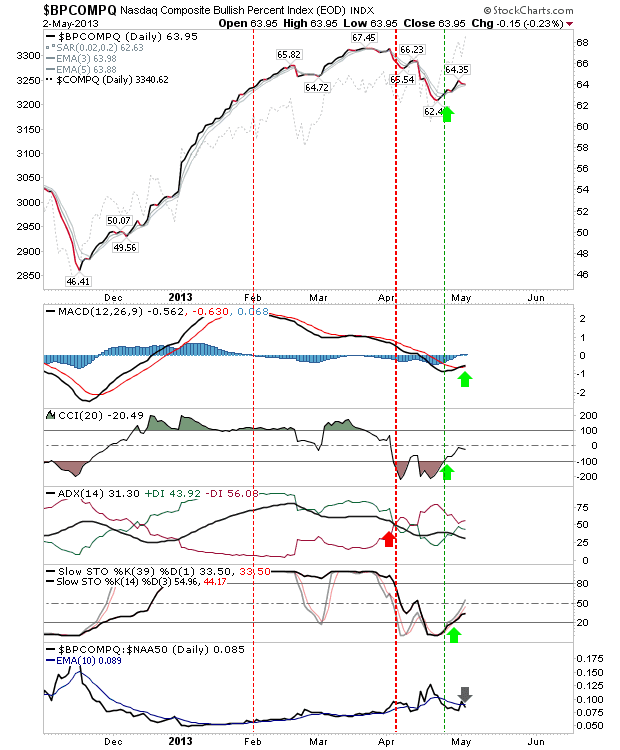 The Bullish Percents are an interesting mix of overbought (the actual value of the Nasdaq Bullish Percents), and rally-from-oversold (technicals). This ultimately could become very bullish, with improving technicals helping to drive the index to new swing highs above 67%. Dr. Declan Fallon is the Senior Market Technician and Community Director for Zignals.com. You can read what others are saying about Zignals on Investimonials.com.